For decades now the Choral Schola of the Former Regensburg Domspatzen has been considered among experts to be one of the most highly acclaimed ensemble for Gregorian Chant. Under the management of its founder and director, Josef Kohlhäufl, former professor of Gregorian Chant in Vienna, Austria, and former musical director at the basilica of Our Lady of the Old Chapel in Regensburg, Germany, the Choral Schola has appeared at various international festivals and congresses and made quite a name for itself both at home and abroad with its recordings of TV and radio performances. The characteristic feature of the ensemble is the way it combines musicological (semiological) competence with vocal quality. In a series of live recordings and new arrangements this new CD documents the development of the Schola from the present day back to the year 1988, when Josef Kohlhäufl and his singers won the first prize at the renowned music competition in Arezzo, Italy. 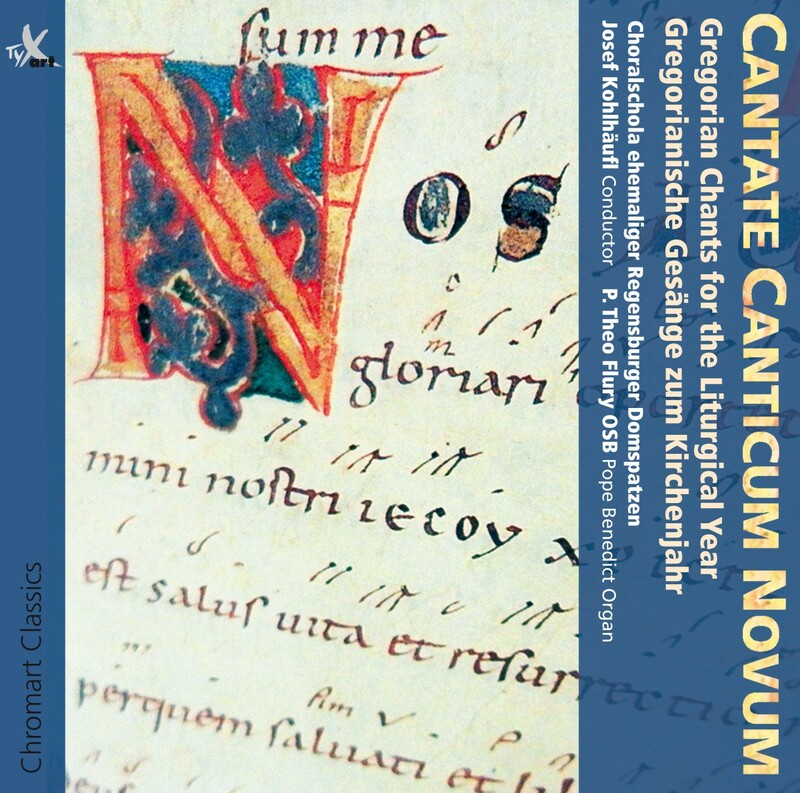 The CD comprises not only of the “classic” Gregorian Chants of the liturgical year from Advent to Whitsun (among others Ave Maria, Christus factus est, Factus est repente), but also has some selected rarities from the Monks' Book of Hours. One of the CD’s highlights is the organ improvisation on Gregorian themes by Father Theo Flury OSB (Einsiedeln Monastery/Switzerland). Fr. Theo Flury is a Benedictine monk and not only a professor at the Lucerne School of Music, but also a lecturer at the Pontifico Istituto di Musica Sacra in Rome, Italy. In cooperation with Kohlhäufl’s Schola he played his modern adaptations of Gregorian Chants on the Pope Benedict Organ in the basilica of the Old Chapel in Regensburg. The idea and design of this Mathis organ, which was built for the occasion of the Pope’s visit to Regensburg in 2006, in a most fascinating way is the perfect medium for the venerable, timeless sounds of Gregorian Chant. 12 Dico vobis, gaudium est Communio, 24. Sonntag i. Jahreskr. 18 Ave maris stella Marianischer Hymnus - with Organ Improv.